Beach BOOSTER Radio Podcasts - BEACH CORNER with Dianna Chycki - March 13.18 - THE CAVERNERS in Wasaga Beach! BEACH CORNER with Dianna Chycki - March 13.18 - THE CAVERNERS in Wasaga Beach! Description: This week, Dianna's repeat interview with Sandy Vine from The Caverners - Canada's # 1 Beatles Tribute Band. Sandy portrays Paul McCartney. 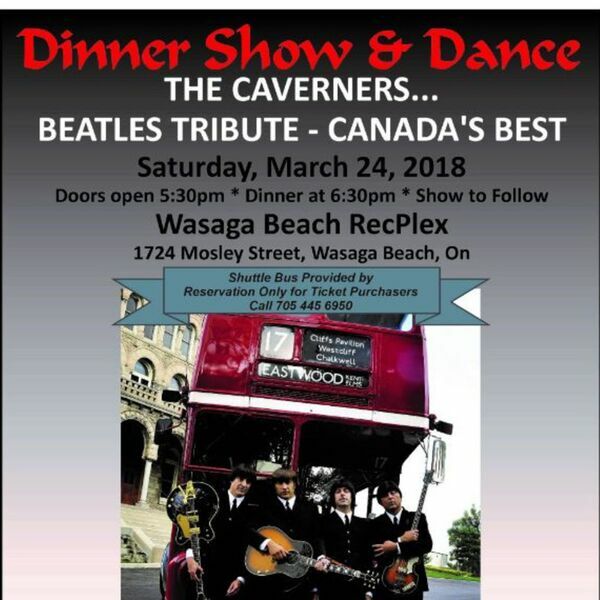 The Carverners are scheduled to perform at the Wasaga Beach RecPlex on Saturday, March 24th doors open at 5:30 p.m., dinner at 6:30 p.m. followed by the show. This is a Dinner and Dance presentation by The Olde Town Terrace in cooperation with Creative Gal Productions. Dianna caught up with Sandy last year at the Collingwood Legion and he will share how he enjoys re-creating history night after night along with featuring two of the Caverners' songs. This is one show you won't want to miss! Please enjoy and SHARE this great local program. This week, Dianna's repeat interview with Sandy Vine from The Caverners - Canada's # 1 Beatles Tribute Band. Sandy portrays Paul McCartney. The Carverners are scheduled to perform at the Wasaga Beach RecPlex on Saturday, March 24th doors open at 5:30 p.m., dinner at 6:30 p.m. followed by the show. This is a Dinner and Dance presentation by The Olde Town Terrace in cooperation with Creative Gal Productions. Dianna caught up with Sandy last year at the Collingwood Legion and he will share how he enjoys re-creating history night after night along with featuring two of the Caverners' songs. This is one show you won't want to miss! Please enjoy and SHARE this great local program.